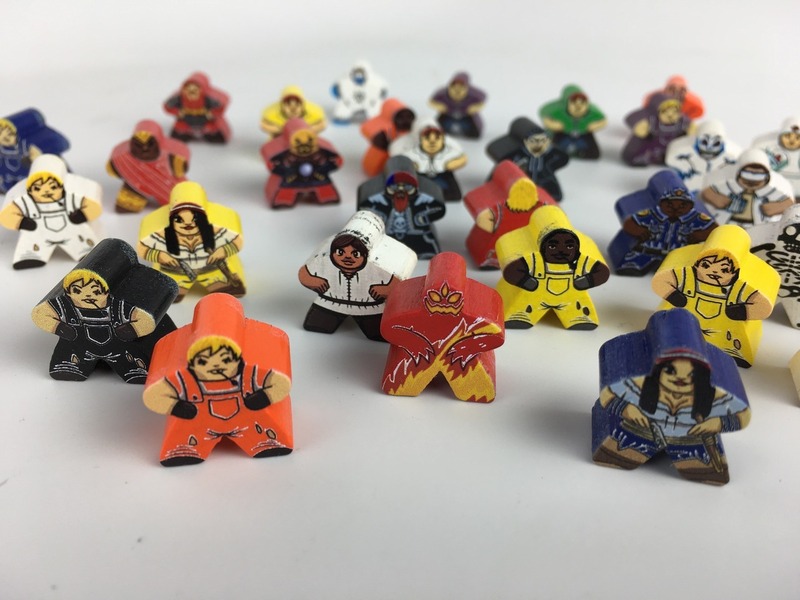 You can design your own full color custom printed Meeples! These are perfect for adding extra flair to any game. Plus, you can print front and back so you can determine directionality for your Meeples. Pricing is $0.50 per Meeple base, plus $0.75 per printed side. However, if you have 6 or more Meeples in your game, the cost drops to only $0.25 per printed side. And you can choose to print only 1 side if you like. To do so, you'll just upload full-color images like you would with any of our other products. That said, you can print on colors of meeple other than white, so we also have white as a special color process. **Note** it is very important it is to have a high-quality PNG image with no jpeg artifacts and minimal anti-aliasing. This means that the edges of your image elements are crisp and don't have any blurry areas. Anything white in your normal image will actually come out clear on the meeple, so it will show the color of the meeple through that space. If you actually want to print white, then you need to upload a separate image of where you want white to print. This extra image should be black wherever you want the white to print. 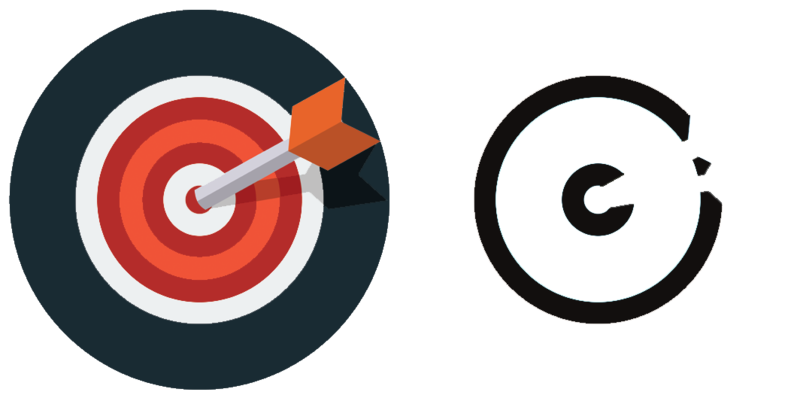 For example, if you wanted to print the bullseye below, where the 2 white rings were actually white rather than the dice color, then you would upload a white layer like the image on the right. NOTE: The white process happens after the color process, so it's important that you don't make the white image cover more area than you intend. NOTE: If the image you want to add to the meeple is entirely white, then you can either add a blank image of the correct size or the same image in white for "Color Art" (that will be ignored by the program).